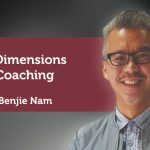 You are here: Home » COACH PORTFOLIOS » Coaching Case Studies » Coaching Case Study: What is My USP? The client was Lily (not her real name) who is a young entrepreneur. She wanted to better identify her own USP to create a personal branding for herself. I had adopted the 5Es in this coaching session. We began the coaching session by highlighting the ethical aspects and meaning of coaching, i.e. observing client’s confidentiality, and recognising that coaching is not consulting, mentoring, counselling or therapy. We also established the agreement of the coaching session stating the schedule, time, venue and mode of communication. This session was done over the FaceTime on our iPhones. 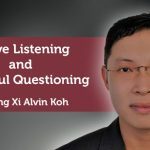 I began by asking her the topic of her interest for this coaching session, and the goal she hoped to attain at the end of the session. Lily began stating that she liked to establish her personal USP for her personal branding and image. She also hoped to be more assured of herself as an individual. By active listening, I noted that Lily was a little uncertain which aspects of herself should be be focusing on. 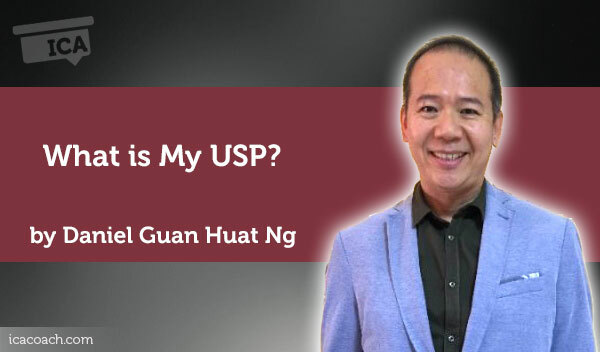 With powerful questioning techniques, I started asking her what were some categories that she would consider to establish her USP. She was keen to look at 4 areas namely: her personal strengths, profession skill-sets, traits and achievements. Having utilised the Gallup StrengthsFinder, a coaching tool, she stated two of her key strengths, namely relation and maximiser, for her USP considerations. She described herself as a frank, authentic and pragmatic person. She perceived herself as one with good interpersonal skills as she relates well with her colleagues and superiors. At work, she keeps a professional front, whilst with her friends, she is relaxed, frank and real. She saw some distinction of her behaviour within and without work. When questioned how did her colleague and peers consider her in term of communication skills. She said they were comfortable with her. She also reckoned that being a logical thinker, she constantly managed to stay positive despite challenges and obstacles at work. Initially she had some qualms about her writing skills. But when probed further about her writing skills at work, she noted that her emails and reports were always clear and comprehensive. Hence, she was able to recognise that she was a reasonably good writer too. Hence, through active listening, powerful questioning and encouragement, Lily was glad to discover that she was an effective communicator. She was more convinced and assured of her communication skills by now. 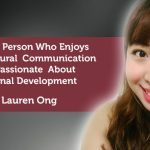 Considering the category of traits for her USP, she believes that she is honest, conscientious, dependable; both a good team player and independent worker. As to the category of her achievements, she thought she had not achieved much, despite being promoted to a senior level within a short period. She recalled that it was through a difficult work environment and she persisted at her previous job yet she was not proud about her promotion. After further discussion and evaluation, Lily decided to eliminate the category of achievement from her USP. She identified the key words for her USP which were: excellent team player, logical thinker, effective communicator, responsible yet an independent worker who produced high quality of work enjoyably. In closing, Lily was reasonably pleased with the list of key words for her USP. She was able to envision and visualise her self-image with these descriptives. She was tasked to further redraft it to create her own unique USP by the following week.